Handling PCB jumper pads and traces is an essential skill. 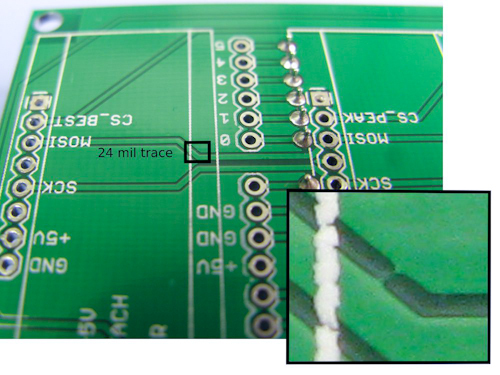 In this tutorial, you will learn how to cut a PCB trace and add a solder jumper between pads to reroute connections. You will also learn how to repair a trace with the green wire method if a trace is damaged. 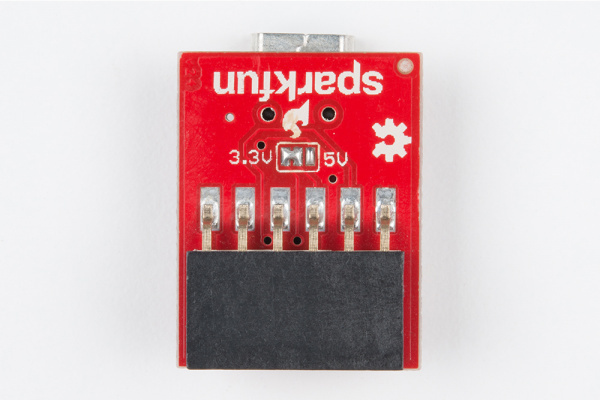 Below are a few examples of 1x2 and 1x3 jumper pads that are used with SparkFun boards. The spacing between pads are usually close together making it easy to add a solder. However, that may not always be the case for jumpers. 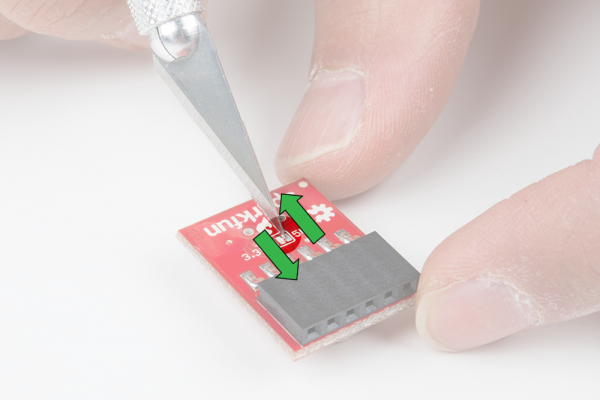 Standard 0.1" pitched pins can have a wider gap or a development board may have a pin located in a different position. 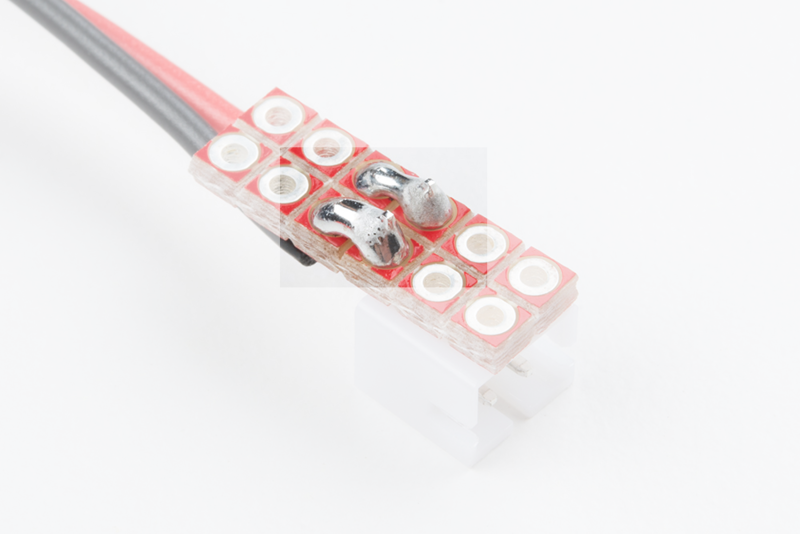 Additional solder, 2-pin jumper blocks, and jumper wires may be required to make a connection. Locate the trace that you want to disconnect. The function of a jumper can vary depending on the board's design. For more information, try checking out the associated documentation for your board. In this example, we will be looking at the 5V FTDI Basic Breakout to adjust the default voltage level from 5V to 3.3V. On the back of the board are three pads. If you look closely on the back of a 5V FTDI breakout, the center and right pads are connected together with a trace by default. 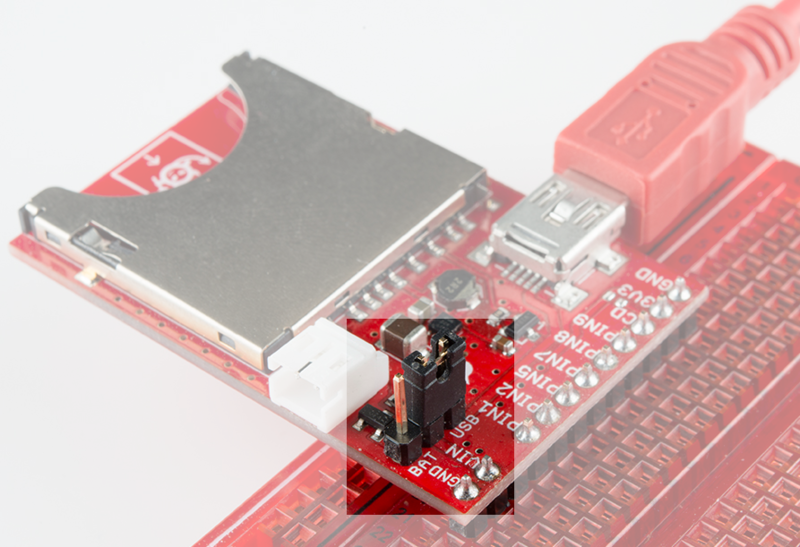 On the 3.3V FTDI, the trace is connected to 3.3V by default. 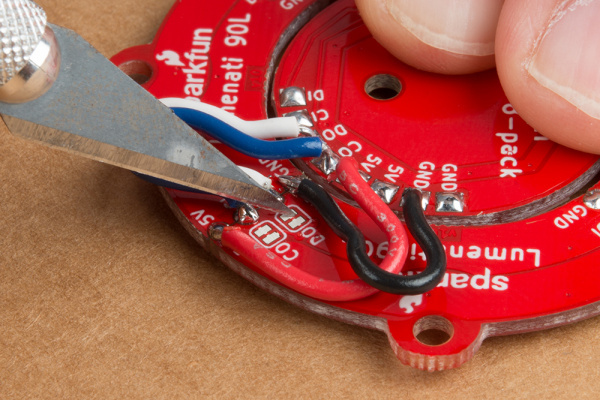 Using a hobby knife, carefully move the blade back and forth across the small trace to sever the connection under the red solder mask. Caution! When cutting a trace, be careful not to cut any adjacent traces, pads, and your hand! The metal blade on a hobby knife is sharp so make sure to take your time. There is a ceramic blade available as an alternative to reduce the risk of injury. 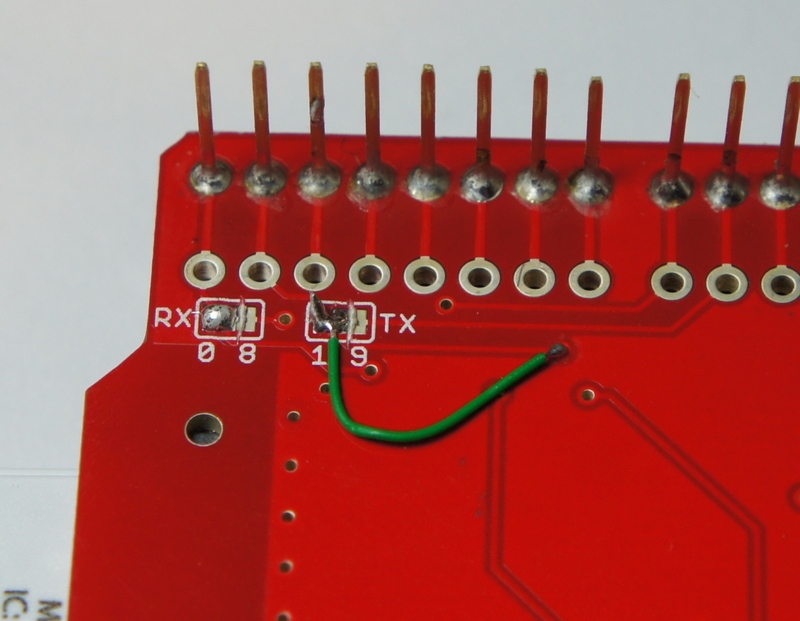 To add an intentional solder jumper, place the soldering iron's tip on the 3.3V side (left pad relative to the header pins facing down) and the center pad. 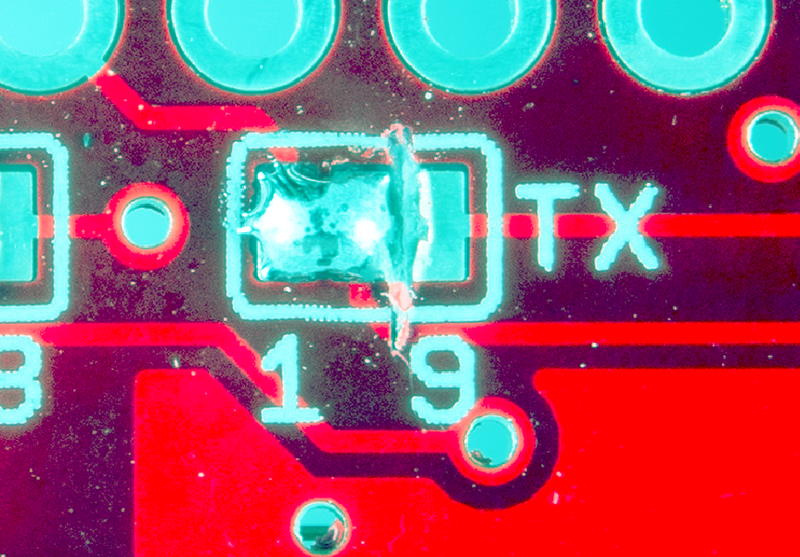 If you decide to set the FTDI back to its default of 5V, simply heat the intentional solder jumper with a soldering iron and move the solder back to the right side. Feel free to add more solder if necessary. 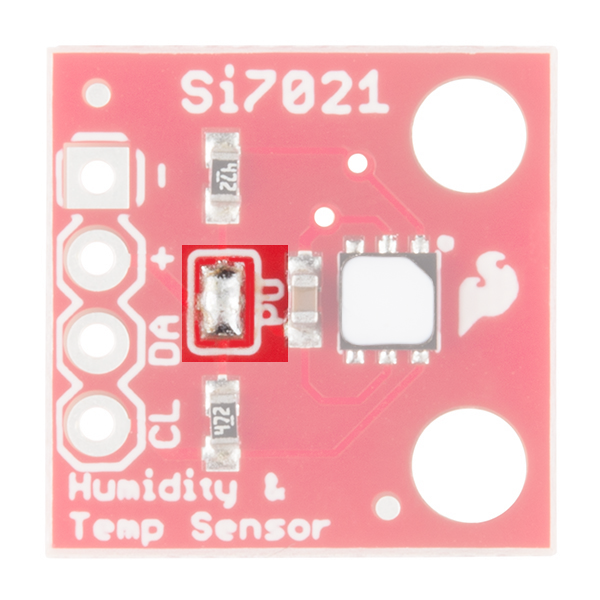 Certain PCBs already have a solder jumper connecting pads. You may just need to adjust the connection by removing the solder jumper. 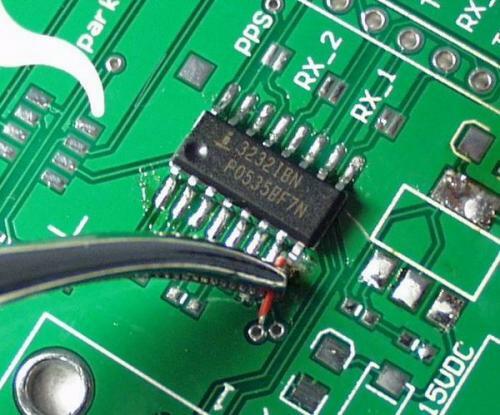 Before powering the PCB, make sure the trace between the jumper pads has been cut by testing the connection with a multimeter. Once the multimeter has been set to measure continuity, place one probe on the center pad and the other on the right pad. If the trace has not been fully cut, the multimeter's buzzer will make a noise. If the trace is fully cut, you are good to power the board! 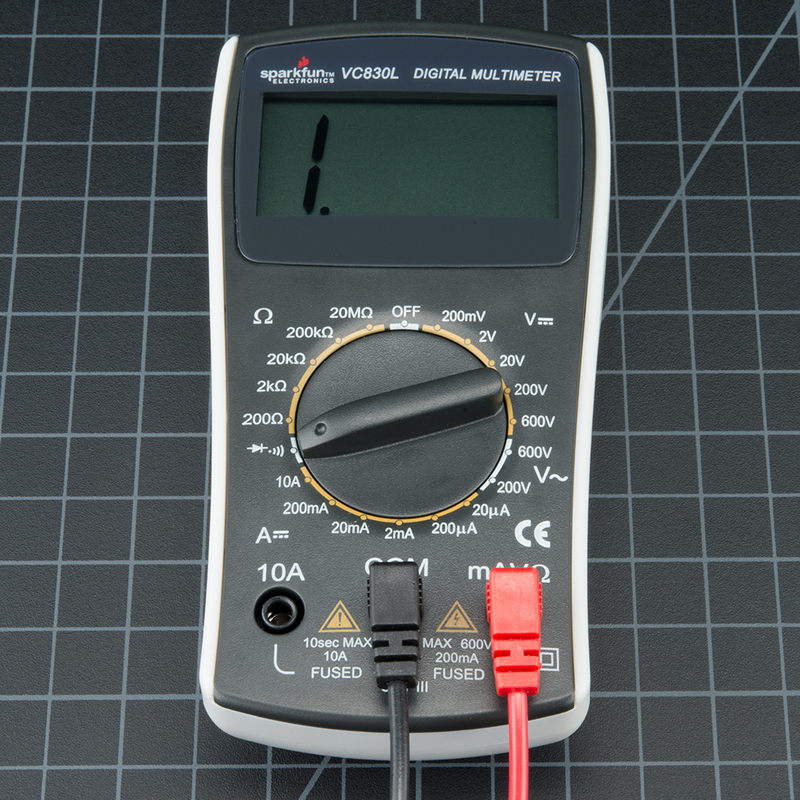 For more information about using a multimeter to test for continuity, check out our multimeter tutorial. 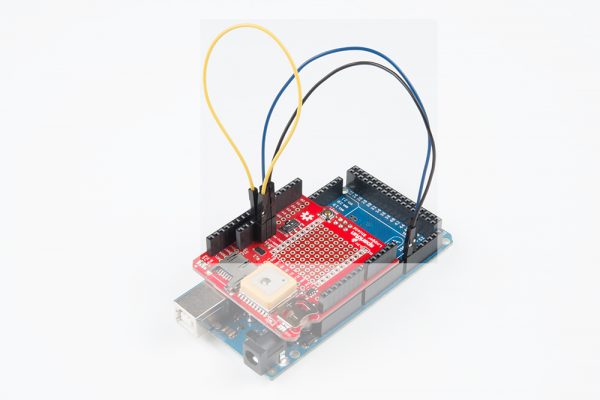 Lets take a look at Nate's tutorial about Wireless Arduino Programming with Electric Imp. While modifying the serial UART connection with a hobby knife, an adjacent trace was accidentally cut! Don’t see the problem? Here's a close up of the severed connection. Unfortunately, Nate was going too fast and TX trace to the Imp ended up accidentally cut. After troubleshooting and probing the connection using a multimeter, he discovered the TX was not connected. With some wire, wire strippers, and some locking tweezers, the trace was quickly repaired by connecting to the tented via. The board was recovered and started working as expected once the connection was repaired. 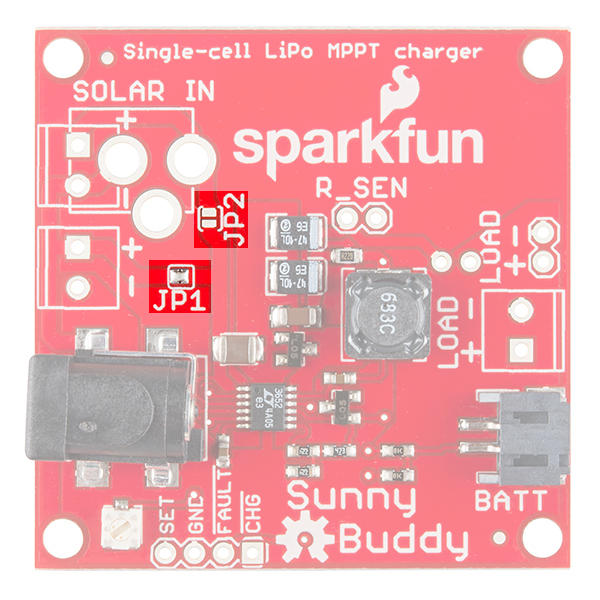 Tip: While it was apparent with the Electric Imp Shield, the next available exposed copper connection may by harder to find on more complex boards. 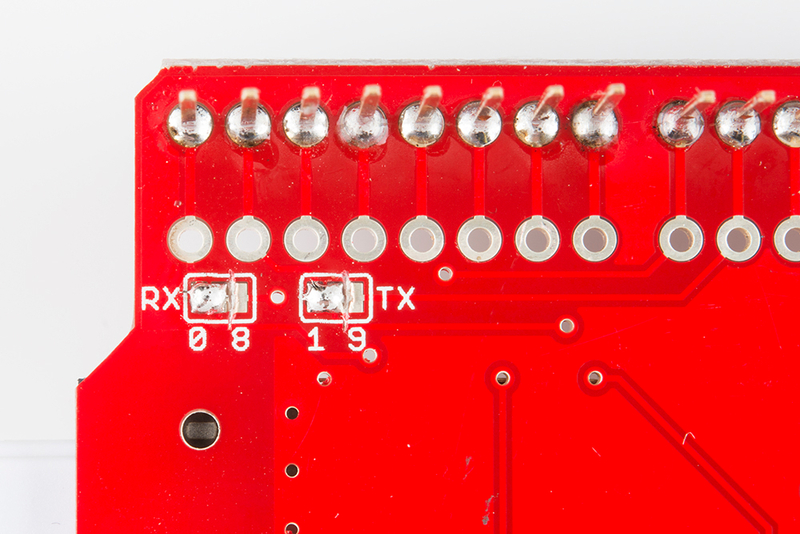 Depending on the board that you are repairing, you may need to pull up a board's layout file to highlight the connection. Remember to take extra time and care when cutting traces so as to not cut beyond or nick nearby traces! Now that you know how to modify jumper pads, cut traces, and reroute connections, it’s time to get out there and make some projects! Check below for more information about recovering PCB boards from manufacturing errors or accidentally damaged pads. Recovering a board from a PCB Manufacturing Error. "Green" Wire Repairs with a bad PCB design or damaged pad.